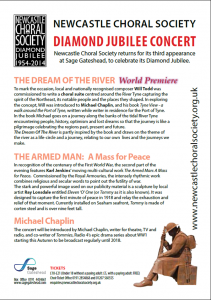 Saturday 29 November 2014 saw Newcastle Choral Society celebrate its Diamond Jubilee with a fantastic concert in the impressive Hall One of Sage Gateshead. 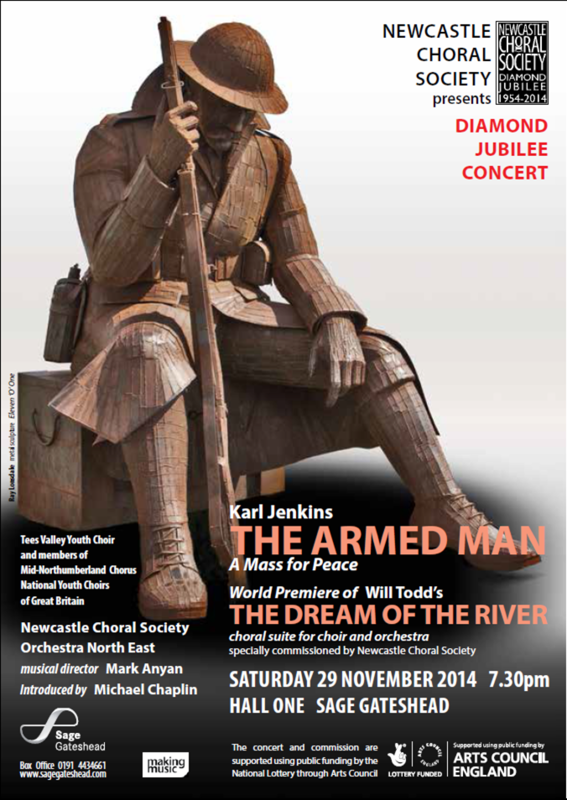 Karl Jenkins: ‘The Armed Man’ Mass for Peace marking the centenary of World War One. Will Todd: ‘The Dream of the River’. 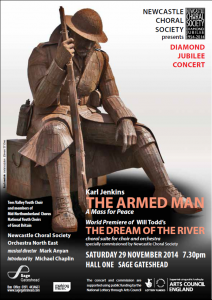 The World Premiere of a choral suite for choir and orchestra especially commissioned by NCS. The music uses the theme of the river as a life-circle and a journey, and relates that to our own human lives and journeys. 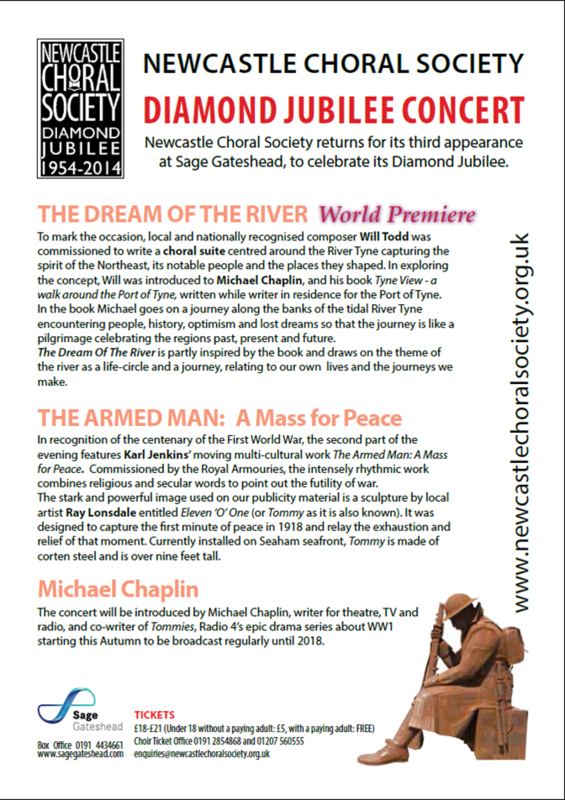 It was partly inspired by Michael Chaplin’s book ‘Tyne View-A Walk Around The Port of Tyne’. Visit Will’s website. Read about Michael Chaplin’s book here. John Rutter: ‘Winchester Te Deum’. and the National Youth Choirs of Great Britain. We were ably accompanied by Orchestra North East. 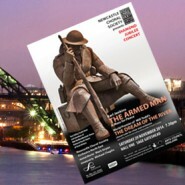 Introductions were by Michael Chaplin, writer for theatre, TV and radio; author and co-writer of ‘Tommies’, Radio 4’s epic drama series about WW1 to be broadcast regularly until 2018.